Tournament Information | Broward Lacrosse Advantage, Inc. Parking at Pine Trails Park extends to the northern most point in the park past the amphitheater and the YMCA. Additional parking is available at Park Trails Elementary and Heron Heights Elementary School. All tents must be no larger than 10 x 10 and must be staked to the ground. No tents allowed on the artificial turf. $10/car/day parking fee. Shuttle bus from parking lot. 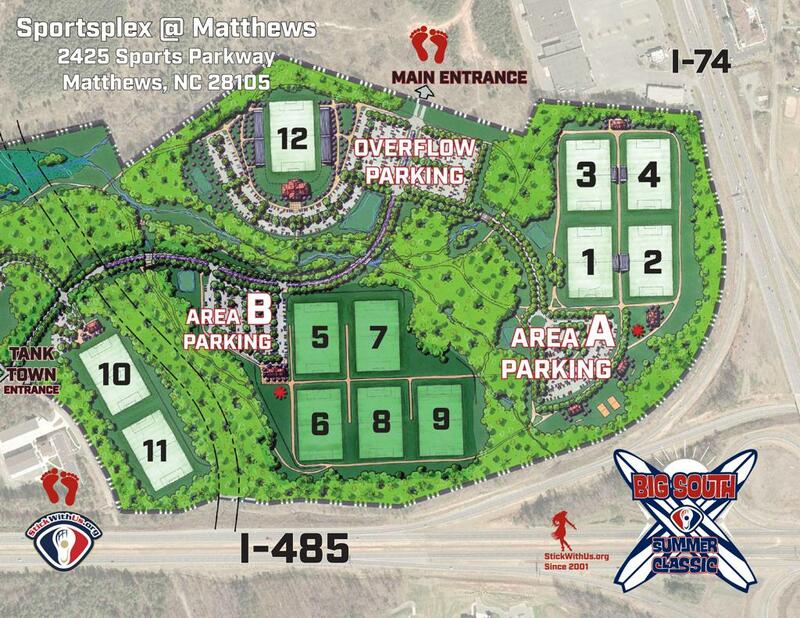 Drop off area for players and equipment next to fields. Follow the Florida Turnpike North to Exit 249, Osceola Parkway, and turn left. Follow Osceola Parkway to the Greenway (417). Take 417 South and follow the signs to I-4 West. Take I-4 West to Exit 58. Once you exit, make a right onto ChampionsGate Boulevard. At the second stop light, turn right onto Masters Boulevard. The hotel is on the left. All the parking lots will be open this weekend...there are the regular lots back by the fields as well as lots closer to the pool. If you turn right just past the pool when you first come in there are lots and there is a large parking lot south of the main pool entrance off Seacrest - by the school itself. There are 5 fields (#1-4 in the main complex & 1 on the stadium field which is field #5).